Because your tires are the only contact your vehicle has with the road surface (an average footprint of 4x5" per tire), monitoring and replacing them when necessary is critical to your safety. There are a variety of factors to consider when evaluating your tires' effectiveness—and of course, Ian's tire sales and installation experts will help you determine when they need to be replaced. Even if your treads still appear serviceable, tires that are 10 years old should be replaced, as recommended by most tire manufacturers. Meanwhile, many vehicle manufacturers suggest replace your tires as early as six years. 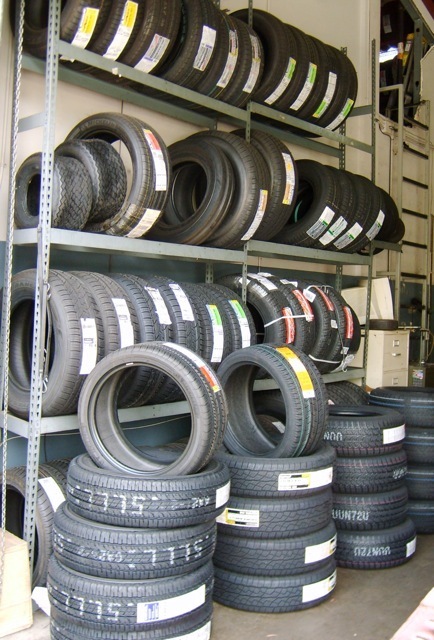 Tires vary, so check your specific manufacturer's recommendations or bring them into Ian's for a checkup. Heat, sun and excessive cold can affect the structural condition of your tires. While this is not normally a problem in moderate climates like Santa Barbara's, it may be an issue if you make frequent trips to the desert or mountains in extreme temperatures. The new tires you choose will depend on how you drive, the make and model of your vehicle and what properties are most important to you. If you tend to be a fast driver who values performance and handling, you may want specialized tires with a shallower tread to give you superior traction and grip. On the other hand, if you prefer a slow, smooth, comfortable ride and are looking for durabiity, then choose a tire with a deeper tread that will last longer. Ian's offers one of Santa Barbara's widest selections of tire brands and models to fit virtually any car, SUV or light truck. Our professionals, with over 20 years of tire sales and installation experience, will help you pick out the perfect tires for your car and driving habits and make sure they are properly installed for optimum performance. How many tires should be replaced? The tire sales and installation professionals at Ian's recommend replacing tires in pairs. This helps to ensure even wear, maintains the highest AB braking and traction performance and protects the transmission and transfer case. Because every car and situation is different, give us a call and we'll help you determine how many new tires your vehicle needs.